A penthouse flat of a caravan, the Warwick Knight takes the usual Tardis-esque space efficiently of mobile homes to glorious new heights. 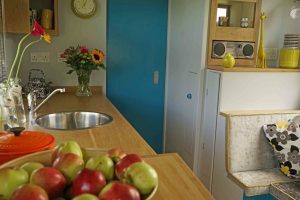 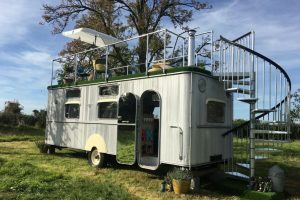 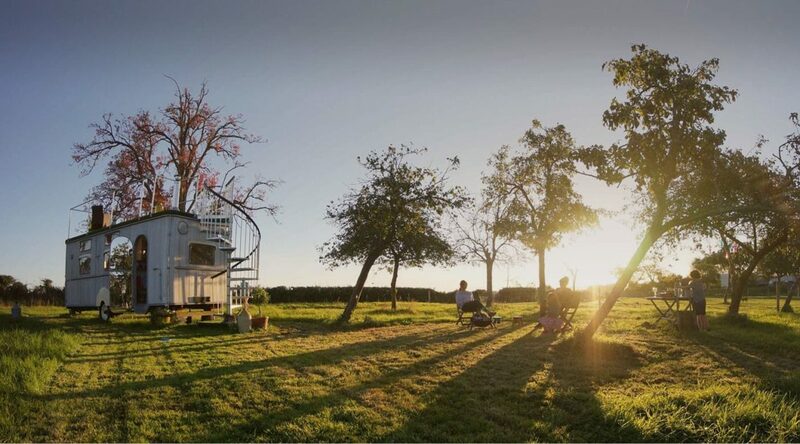 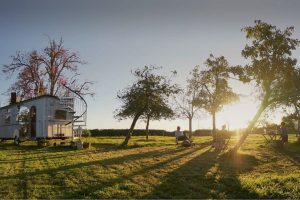 Once destined for the scrapheap, the vehicle is now enjoying a second life in an apple orchard in Gloucestershire, pimped up with raised ceilings, wide windows, and a lounge with a wood-burning fire; not to mention a double bed and bunk beds. 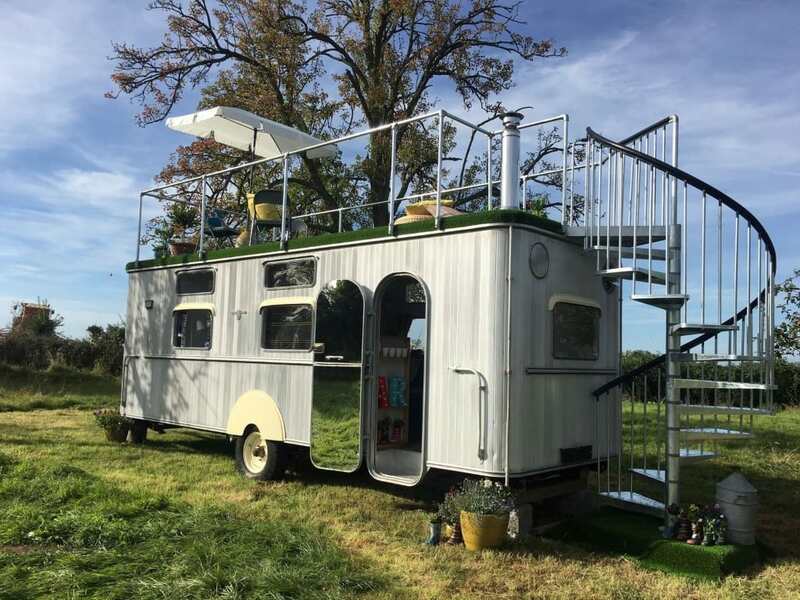 You’ll find the most impressive addition, though, at the top of its spiral staircase – a rooftop garden complete with astroturf, parasol and cushions. It’s a great spot for a nightcap under the stars, gazing over the River Severn and the Cotswolds valleys beyond. 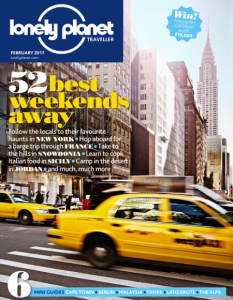 You could happily while away a weekend stomping over them, stopping for a picnic or a pint in a rickety village pub. 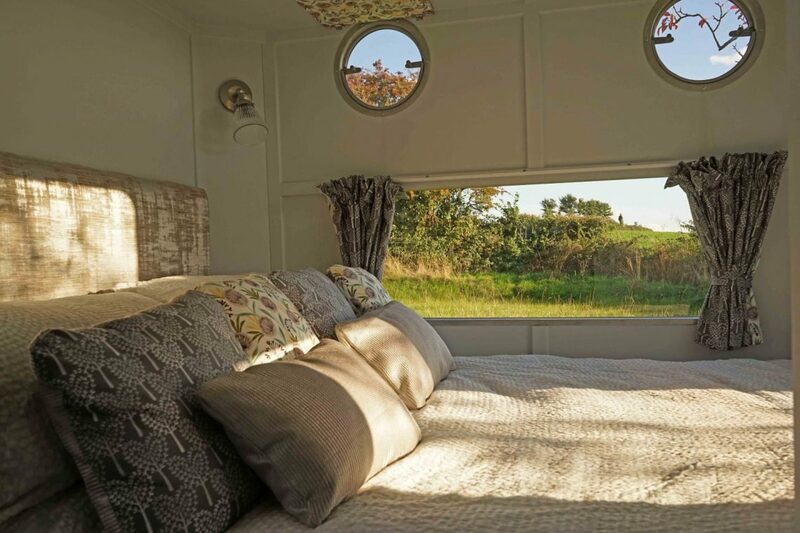 Warwick Knight’s owners can also arrange trips via a mode of transport even more old-school than their caravan – a horse and carriage.